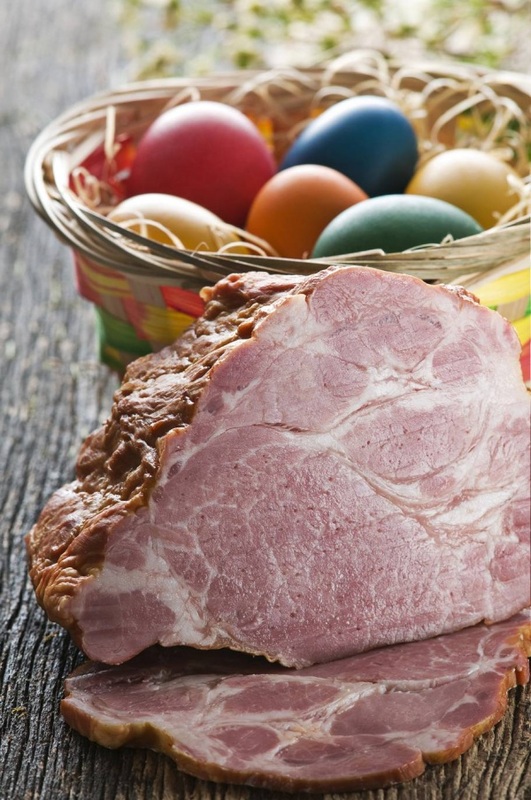 Looking for some simple, wonderful Easter dishes? Courtesy of Ronco.com, here’s an amazing ham recipe. I have added an option for removing the juice and adding butter for a high-fat glaze instead, so you can either make two, smaller glazes, or make the one that appeals to most of your guests! I ran the nutritional data for you so you know how to incorporate this recipe into your meal planning. Enjoy. Please note that this isn’t a recipe I’ve personally prepared. If I had, the following directions are how I would have prepared it. I would love to hear your ham hints below! In a small saucepan, stir together brown sugar, juice (or butter) and dry mustard. Bring to a simmer and cook for 3 minutes. Set aside to cool. Place the ham on a rack in a roasting pan. Add water to the bottom of the pan and cover the whole thing tightly with foil. Bake at 325 degrees F for 16-20 minutes per pound, until a meat thermometer registers 135 degrees F. Unwrap the ham and apply the glaze; increase the heat to 400 degrees F and bake for 15-20 minutes longer until the glaze is burnished. I believe I will! Thanks, Jamie.